4 bedroom villa - Absolute beach front! 2 complimentary kayaks to explore the bay! 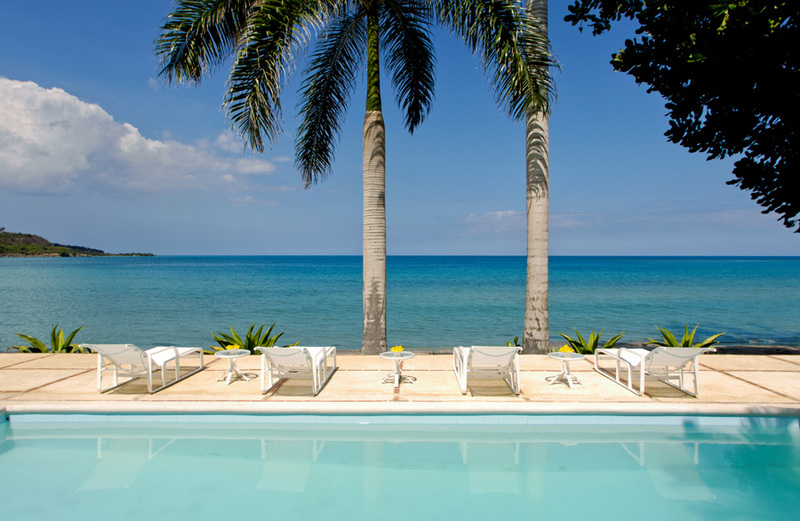 Serenity Villa is situated on the picturesque northern coast of Jamaica, Serenity Villa’s prized waterfront location eight miles west of Montego Bay makes it absolutely spectacular. 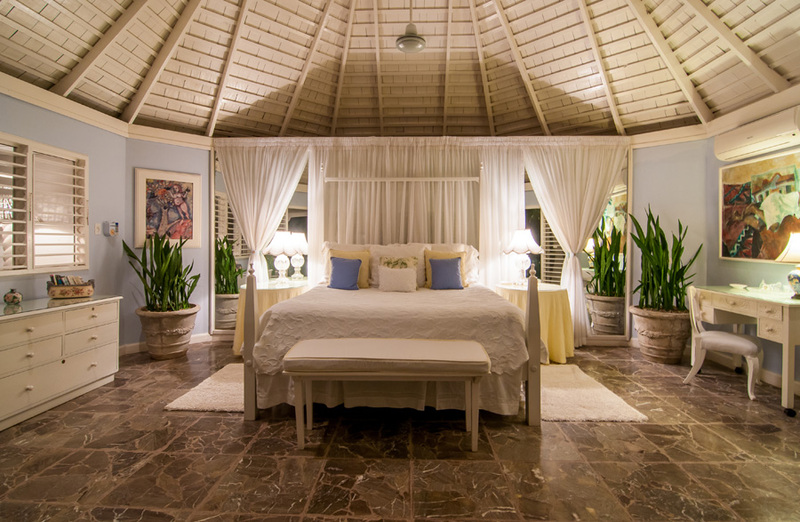 The fabulous Serenity Villa has been constructed in Classical styled architecture, where spaces are defined by high cedar ceilings and airy octagonal gazebos. 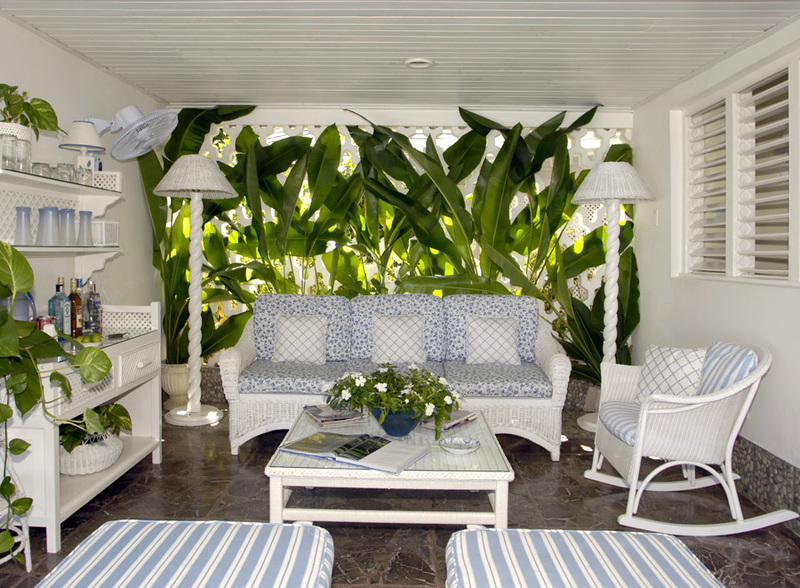 The décor is dominated by pretty white and blue fabrics and cool marble floorings all through the villa. 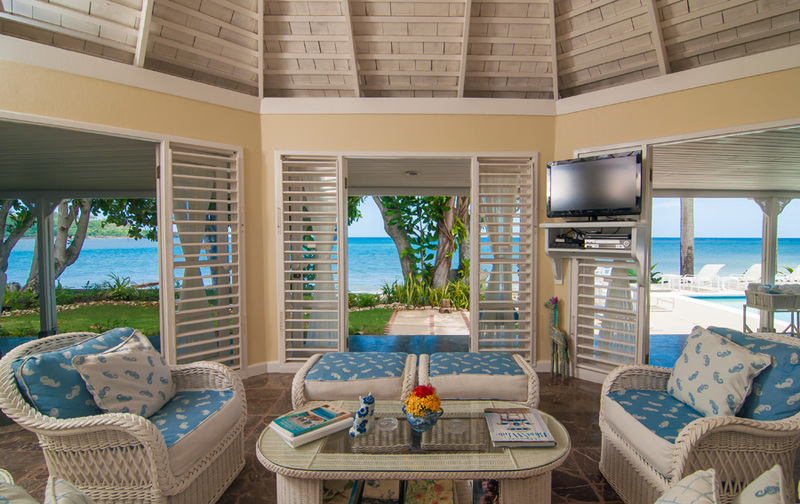 Guests at Serenity Villa can drift off to sleep to the sound of gentle waves lapping on the beach in one of the four bedrooms in the Jamaican Villa. Three of them are equal-sized spacious, romantic bedrooms. 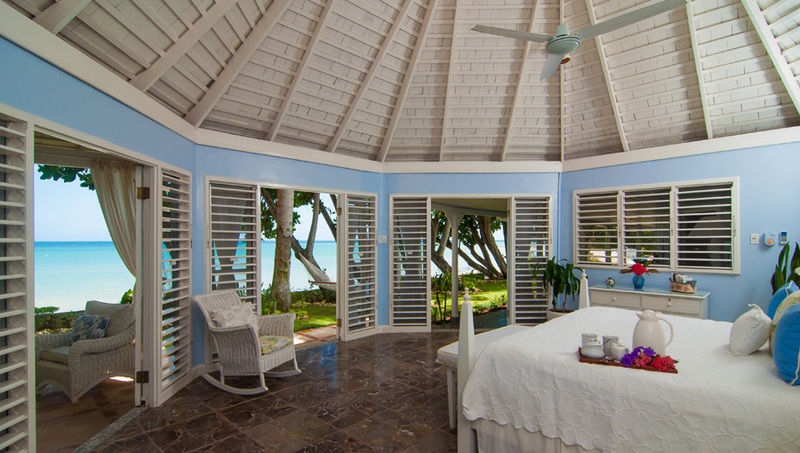 King-sized beds, Ralph Lauren wallpapers, cable television, air-conditioning, softly curtained French doors, en suite bathrooms, direct access to the long verandah and fabulous sea views are some of the features offered by these luxurious bedrooms. The fourth bedroom is slightly smaller and can be furnished with optional twin beds or a king-sized bed. 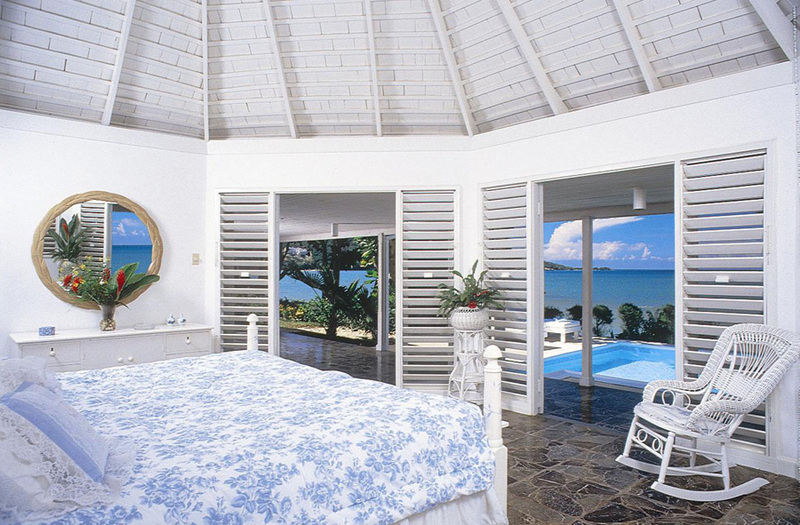 All the bedrooms at Serenity Villa open into private sitting areas for spectacular views of the sparkling Caribbean Sea, literally at the villa’s doorstep. While the guests are still asleep, lavish coffee trays are placed silently outside each bedroom door. Guests can begin their day with energizing morning walks along the beach and conclude with sunset beach walks for even more lovely views. 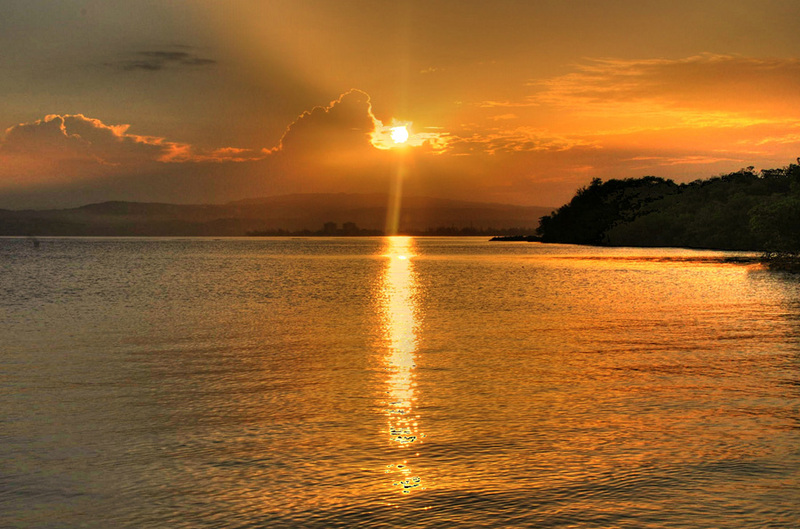 The sparkling lights of Montego Bay town are visible across the water at night. A long furnished marble verandah connects the four bedrooms to the living room. The same verandah leads on to the adjoining swimming pool and pool terrace. 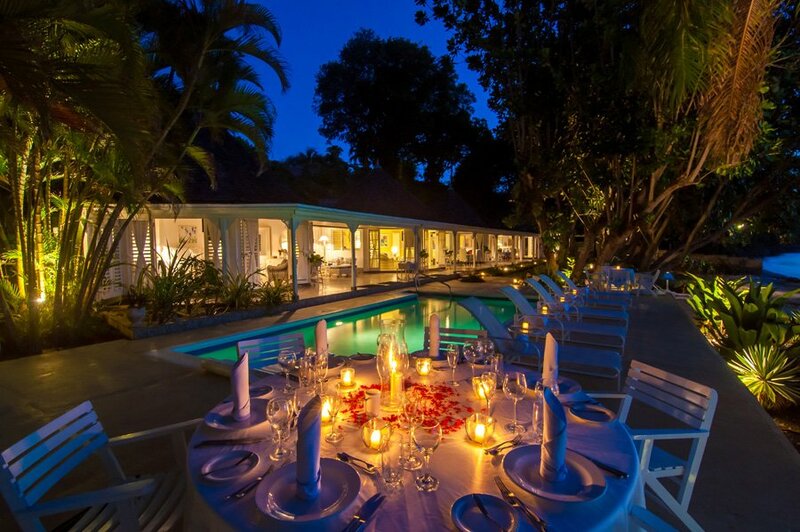 The heated swimming pool was fitted with solar heat panels.. Evening hors d’oeuvres and cool refreshing drinks are served on the pool terrace beneath the palm trees. 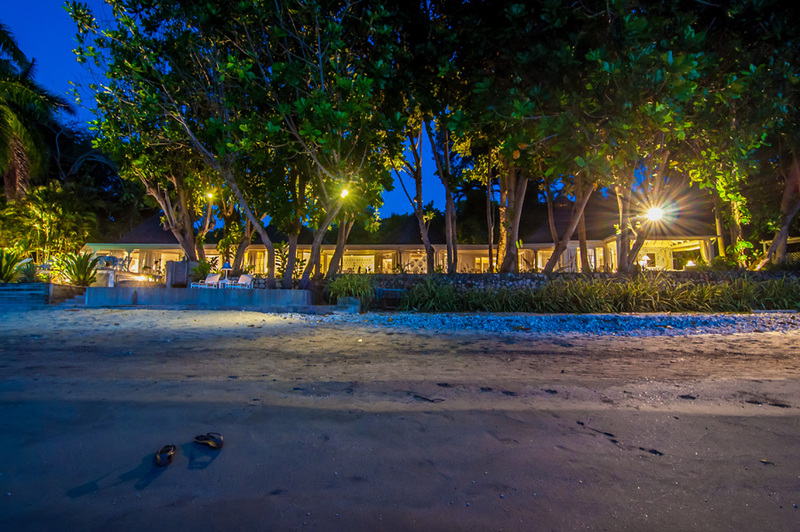 As a special treat, dinner can be arranged on the beach. Serenity Villa’s living room is equipped with a large plasma television, CD and DVD players, a four-speaker sound system and an extensive library of music CDs and movies. 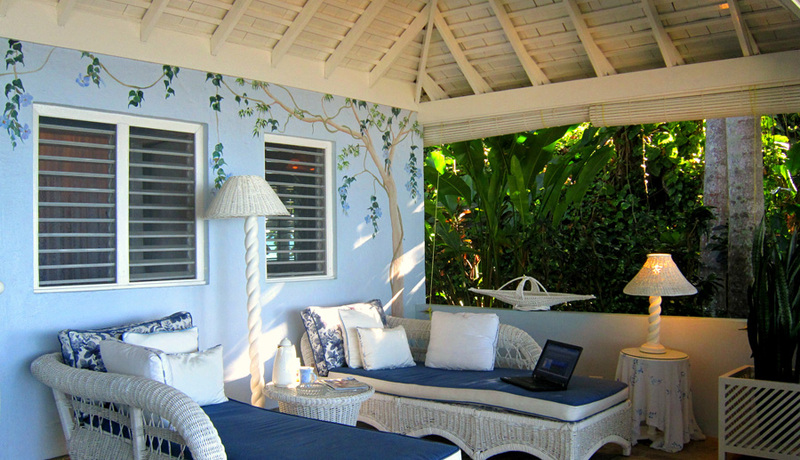 Guests are advised to bring their laptops and enjoy the complimentary high speed internet access all through the villa. A terraced walkway leads to the lower waterfront terrace, the beach and the sea. 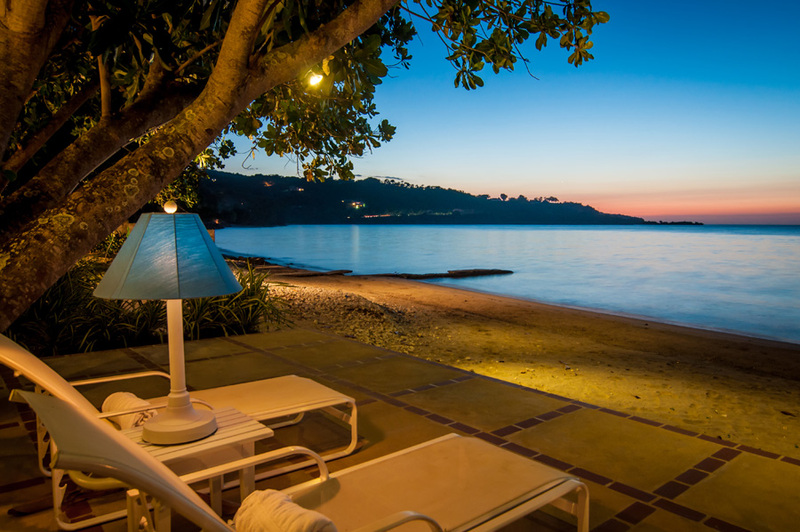 Local fishermen can be seen from the villa on calm evenings as they lay their nets by torchlight. 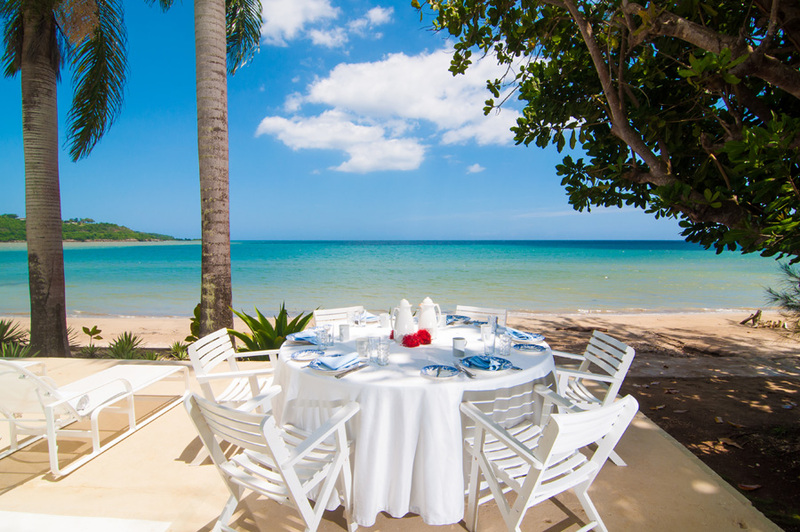 On days when they have a productive fishing trip, they will visit Serenity Villa early in the morning with fresh lobster or fish for the cook, which could be the evening’s dinner. 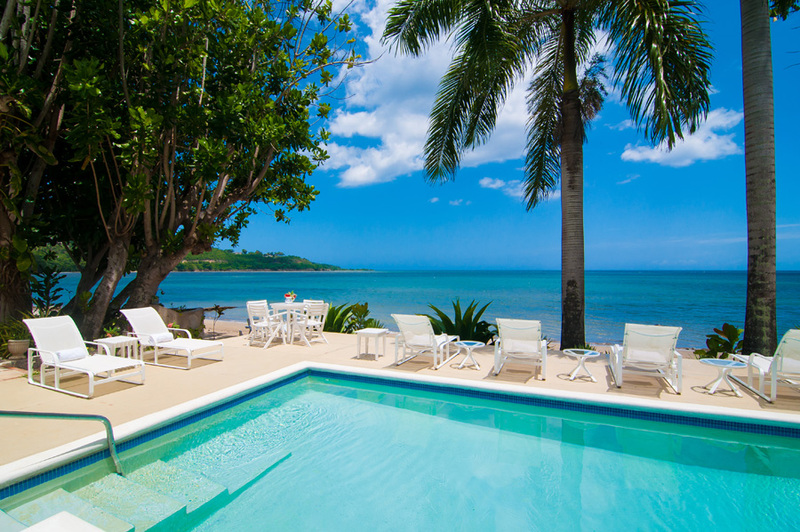 Guests at Serenity Villa can explore Holden’s Reef, which is approximately 100 yards offshore, presenting a combination of barrier reef complex that covers most of the northern coast of Jamaica. 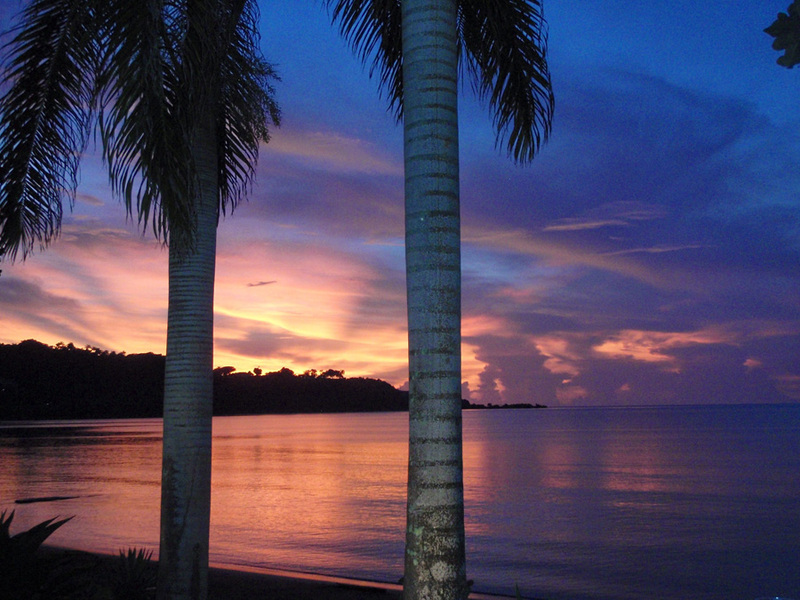 The live reef is easily reachable by kayak and is home to a myriad of corals and tropical fish. Portions of the coral reef protrudes above water at low tide so that explorers can step from their kayaks and snorkel in the shallow waters. 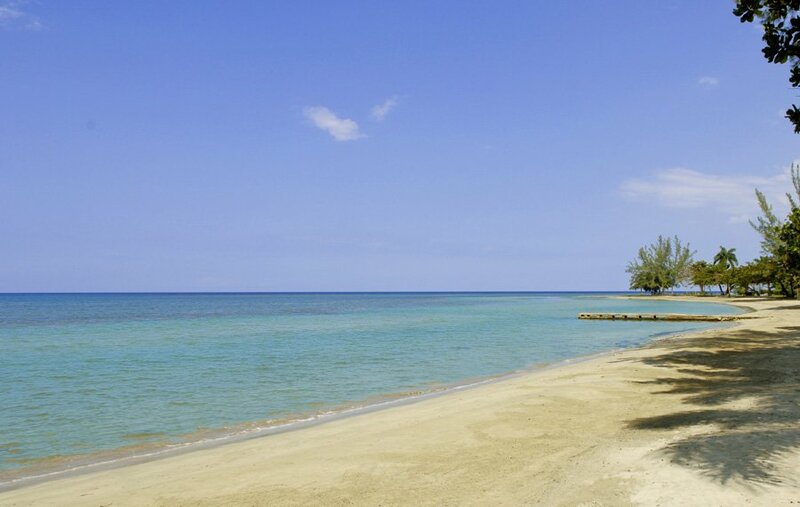 The ocean side has deeper waters, very attractive for the more adventurous explorers with appropriate scuba gear. 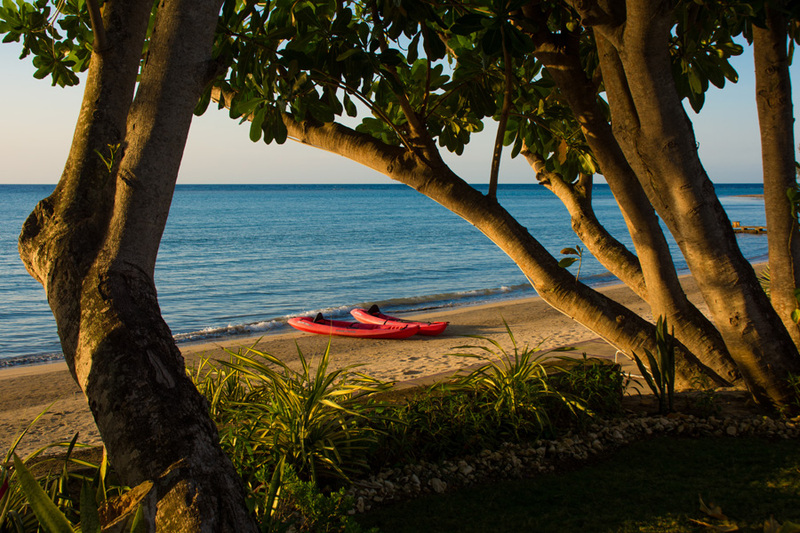 Guests at Serenity Villa have two complimentary kayaks to explore the bay area. For animal and pet lovers, Serenity Villa has two beloved pet puppies, Wrinkles and Spot, the first a beautiful Rhodesian Ridgeback, while the second being a brown and white Jamaican dog. Both dogs love children and enjoy runs along the beach. 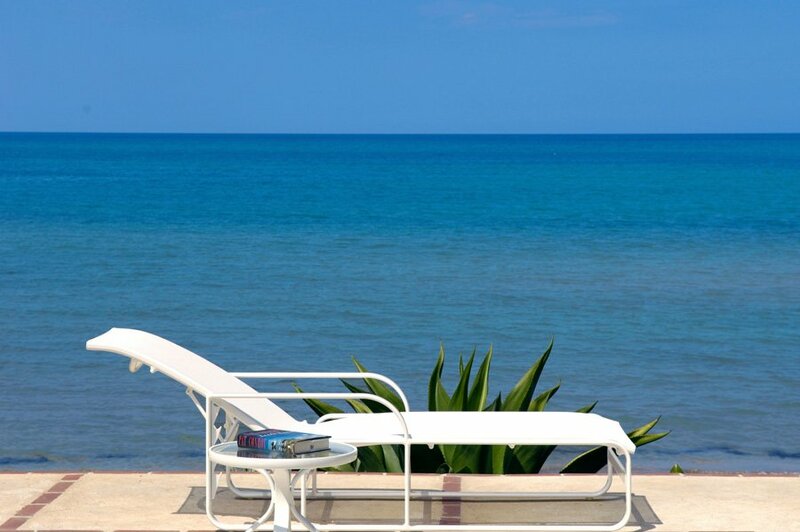 A vacation at the lovely Serenity Villa is made more pleasurable and luxurious by the competent and hospitable villa staff of five, which includes the cook, housekeeper, butler, night watchman and laundress. 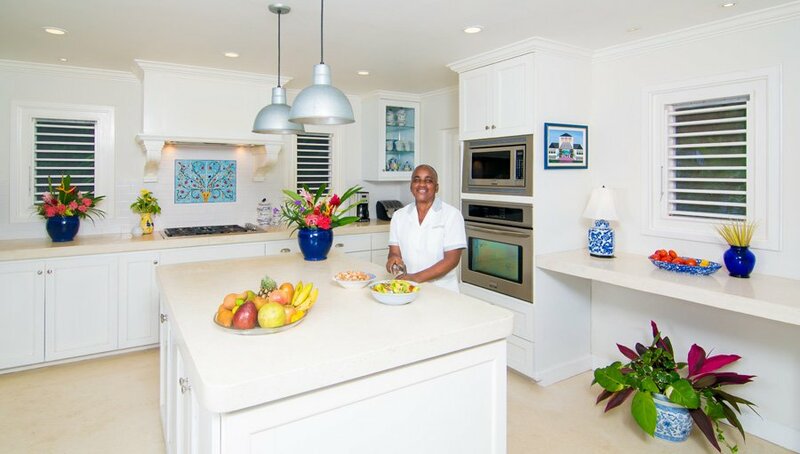 The housekeeper, Maud, has been at the villa for more than 16 years, while Adrianna, the cook, has been here for over 16 years. The hospitality and friendliness of the staff makes a vacation at Jamaica villas a rare experience imbued with old-fashioned gentility. 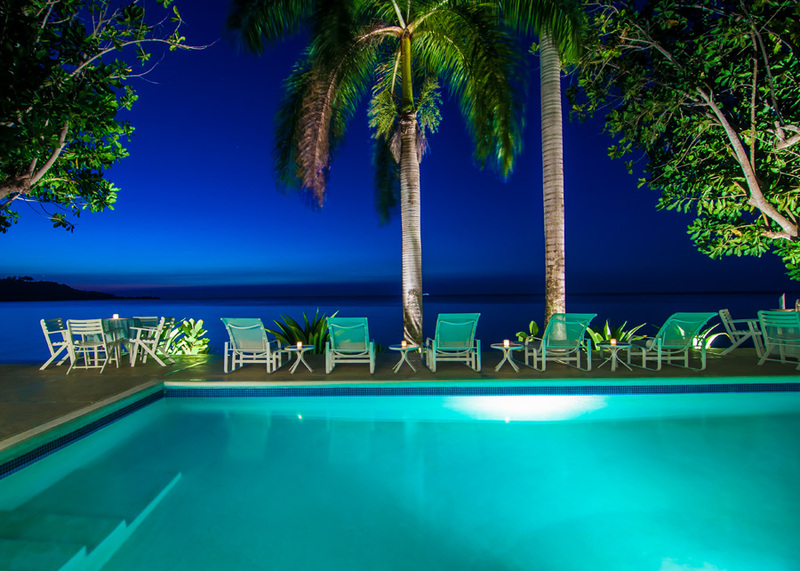 Serenity Villa shares a private tennis court and basketball hoop with the neighboring Tranquility Villa. Guests are advised to bring their racquets and balls. 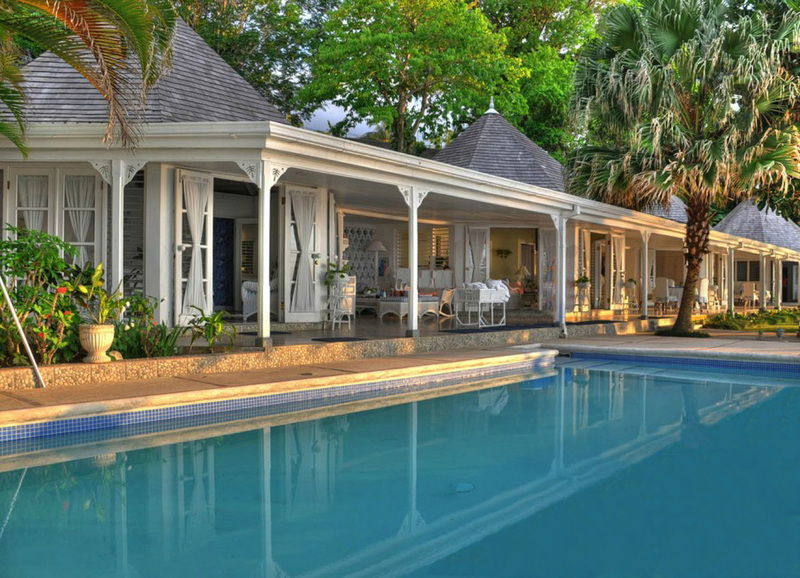 On being rented simultaneously, Tranquility and Serenity provide ten bedrooms, two pools, a long beachfront, a tennis court and a staff of ten. Additionally, the next villa, Noble House on the Beach can be rented together with the previous two, for larger groups. 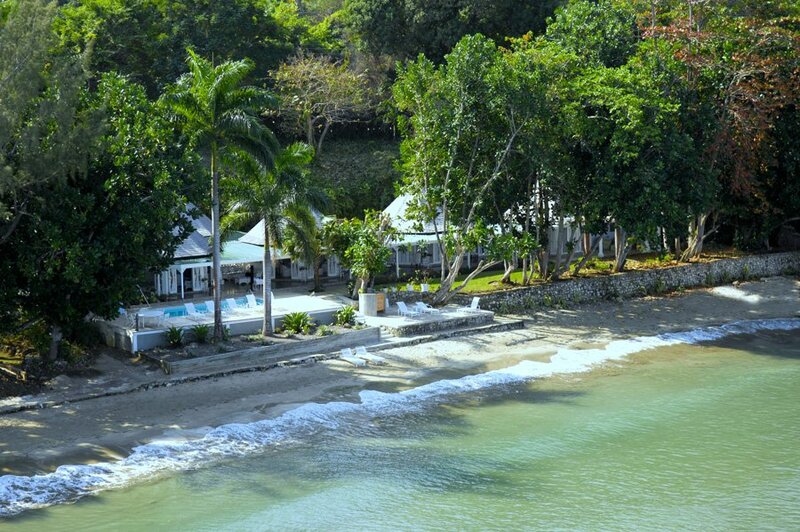 All three villas offer a combined 15 bedrooms, 3 pools, longer beachfront, tennis court and a staff of eighteen. 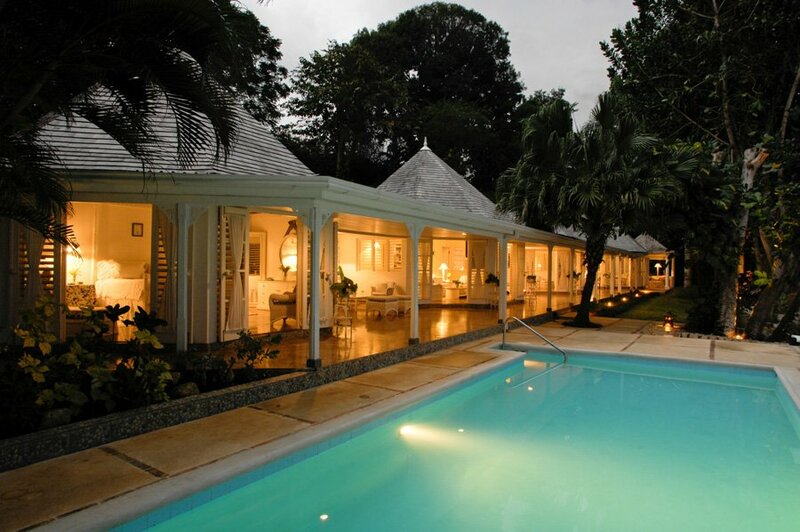 Altogether, these three villas in Jamaica are perfect for family reunions and weddings. 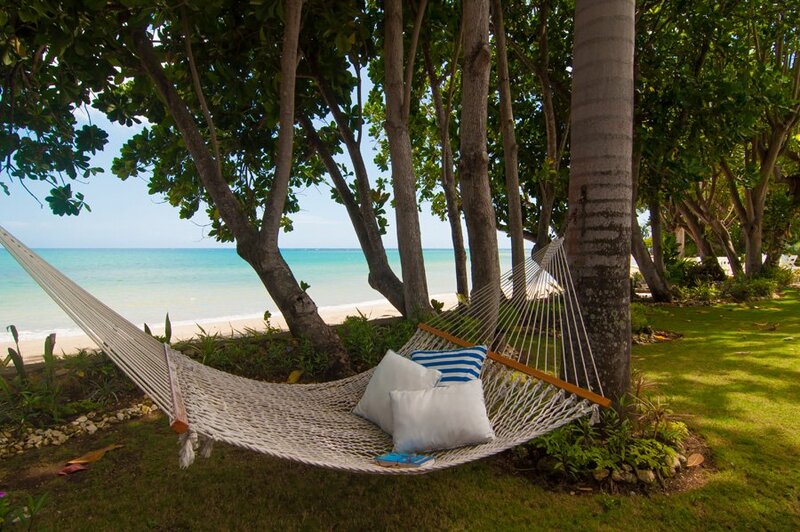 All three villas are completely private and child friendly. This home is an absolute gem with pretty interior designs. 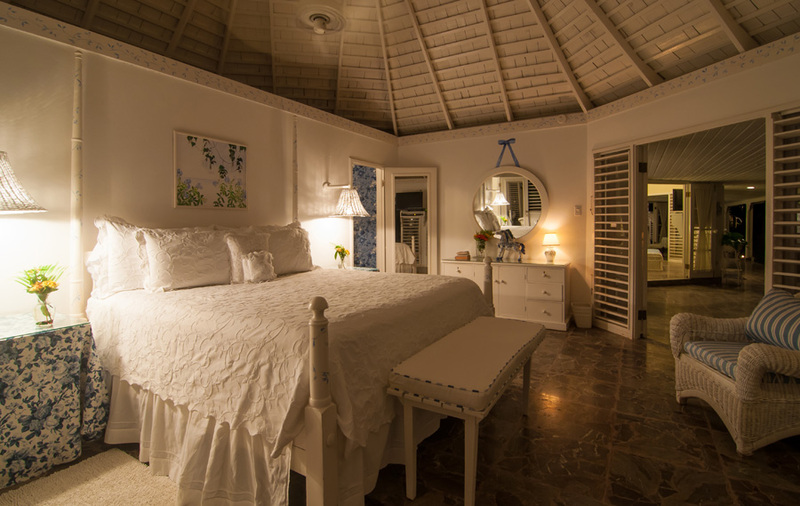 Each bedroom opens to a sitting area which can be used as your own private area for relaxing, reading, napping or simply gazing out to the views of the spectacular Caribbean Sea. 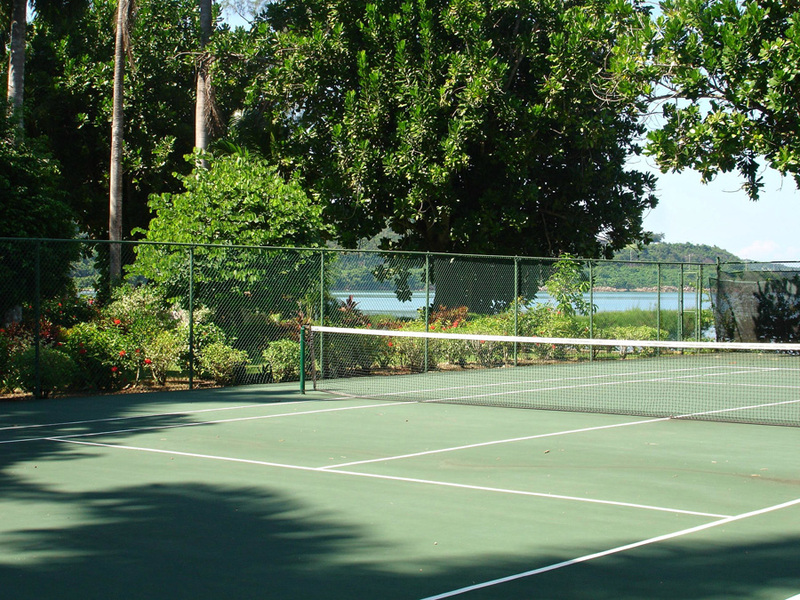 Serenity shares a private tennis court with its neighbour, Tranquillity Villa. For larger groups, you can combine Tranquility, Serenity for 8 bedrooms, and Noble house which accommodate another eight more guests. 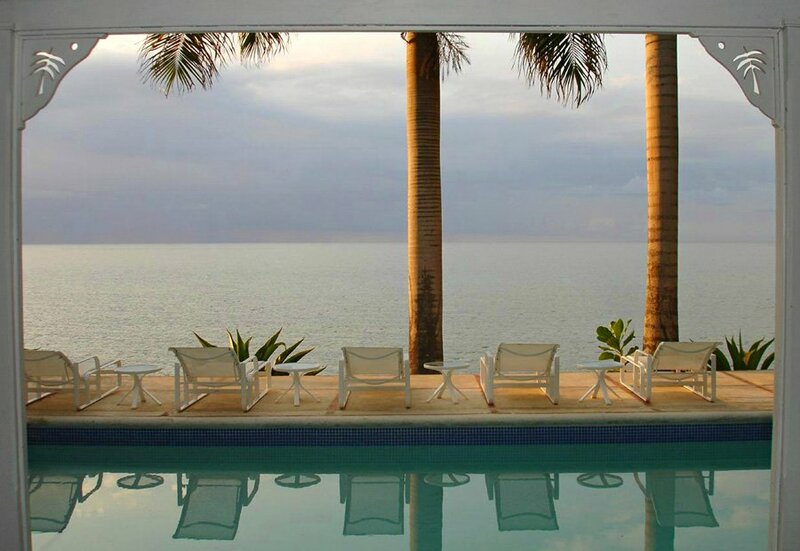 All together, these 3 homes provide a wonderful compound for large reunions and weddings. Bedroom 1: Kingsize bed - cable television. Ensuite bathroom with walk-in shower and double sink vanity. 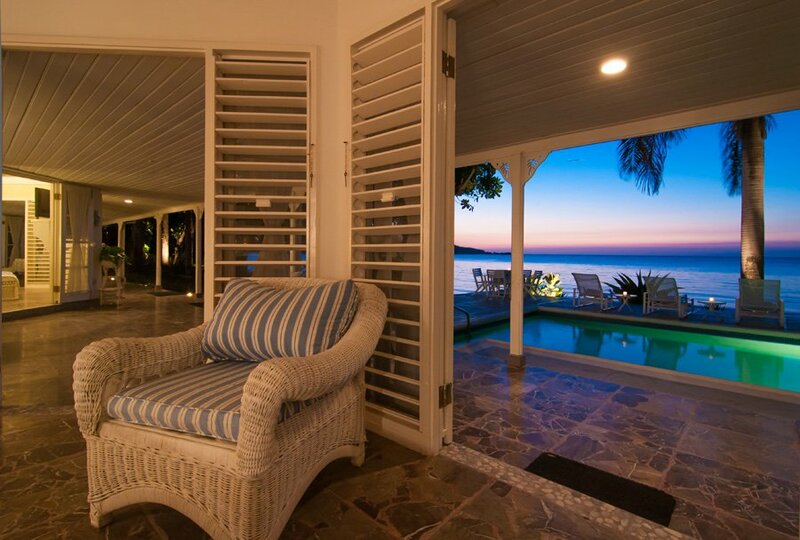 Opens to large covered very private verandah. Bedroom 2: King size bed, cable television, right next to the swimming pool. Ensuite bathroom has walk-in shower and walled garden. Middle Bedroom: Optional kingsize or twin beds, cable television. En-suite bathroom has deep bathtub, shower and walled garden. This room has a connecting door to Bedroom 4 for convenience for parents and children. Bedroom 4- This bedroom is 200 square feet. Optional kingsize or twin beds. A connecting door opens to the Middle Bedroom for convenience of parents and children. A louvred window also opens between these connecting rooms. parents or nannies can adjust the louvers to stay open or closed in the night. Bedroom 4 is suitable for adults or children.